How much do you like ice cream? Enough to get yourself a nice share of brain freeze? 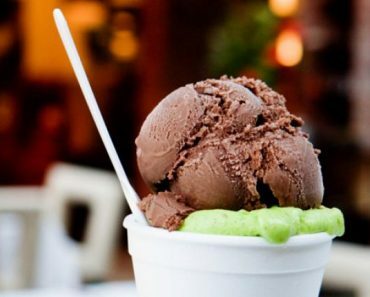 Imagine it’s that super hot summer afternoon and you are craving for that tasty ice cream; you stop by the next ice cream store and buy one. You taste it with all your heart and immediately feel a stabbing pain in your forehead. That’s brain freeze! Brain freeze happens only seconds after you’ve come in contact with intense, cold temperatures and it peaks almost in an instant. Also known as “ice cream headache”, brain freeze is actually a cold-stimulus headache, common in people of all ages. 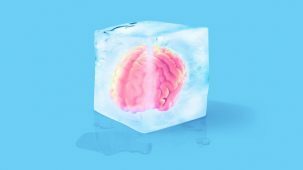 Any type of exposure to cold could cause brain freeze, not only eating or drinking something very cold, but also getting out in the freezing weather or diving in icy water. In the internal cold exposure cases, brain freeze is triggered when the cold substance that you’ve eaten touches the back of the mouth and thus stimulates the blood vessels and nerves in this area, which is very sensitive to temperature changes. A study from 2012 demonstrated that brain freeze is caused by a sudden increase in blood flow which leads to an increase in size for the an artery located in the middle of the brain, right behind your eyes. The pain you feel when you’ve got brain freeze decreases as the blood flow going through the above artery is reduced. There are quite a lot o theories as to why brain freeze occurs. According to another theory, brain freeze occurs when a nerve in the head and face is activated by the cold sensation. This nerve is also known as the trigeminal nerve and is triggered when the blood vessels in the head suddenly tighten and constrict, followed by a dilatation and widening which causes that feeling of pain. All in all, this phenomena doesn’t cause life damages and you can go back to normal functioning afterwards. The symptoms are quite staggering. First comes a a quick head pain which peaks withing the first 60 seconds of the cold exposure. The pain starts to resound in the forehead and temples as well. It will take a few minutes before it goes away.The pain is sensed differently by people. Some people who usually have migraines described it as a throbbing sensation that pulsates in their foreheads, others have described it as a sudden stab of pain that takes you by surprise immediately after being exposed to cold temperatures. There’s no way you can treat a brain freeze and so far, impossible to avoid it. I mean, you don’t want to refrain from eating ice cream or drinking cold beverages because of it, do you? The best way to reduce the chances of brain freeze is to slow down when eating or drinking something icy. There are some who claim that if you drink warm liquids immediately after brain freeze occurred, your pain will swiftly disappear. Brain freeze is very common and it affects adults and children alike. Researches have shown that women are more likely to experience brain freeze than men. 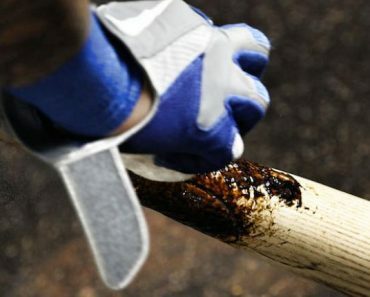 Does Pine Tar Have Any Uses Outside Of Baseball?